Interest to Japanese style is growing constantly and it is no wonder, because Japan is a intricate, unusual and mysterious country with rich history and cultural heritage. Japanese dwellings can be compared with alive mechanism, because everything is appropriate and every thing has its purpose. “Emptiness is almighty” they say in Japan, thereby explaining a large free room space and convenience of a small amount of furniture. 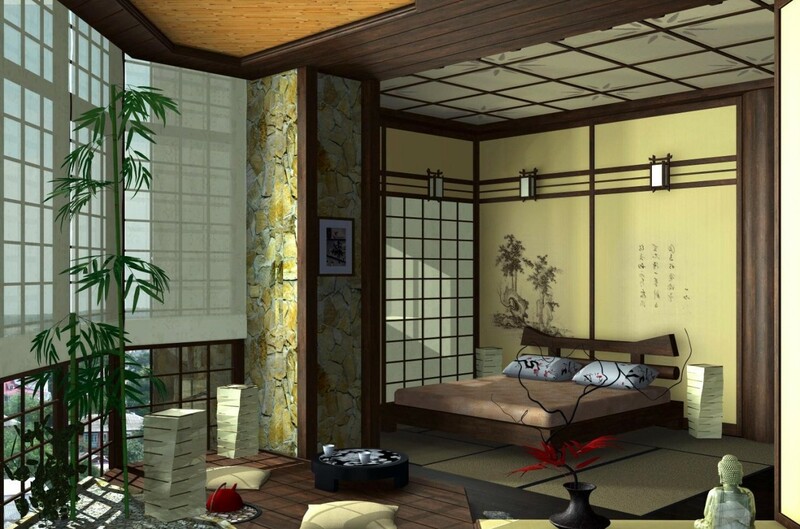 The room interior in Japanese style is a kind of philosophy, closeness to nature and the knowledge of himself. That’s why the Japanese avoid luxury in the design of their houses, fancifulness in furnishings and the use of artificial materials and rooms design is based on the ideas of minimalism using special features and accents avoiding extremes – too much simplicity and asceticism. One of the concepts of Japanese philosophy is closeness to nature. 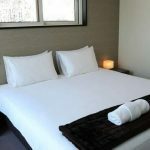 It is especially important for bedrooms where we spend much time, rest and relax. 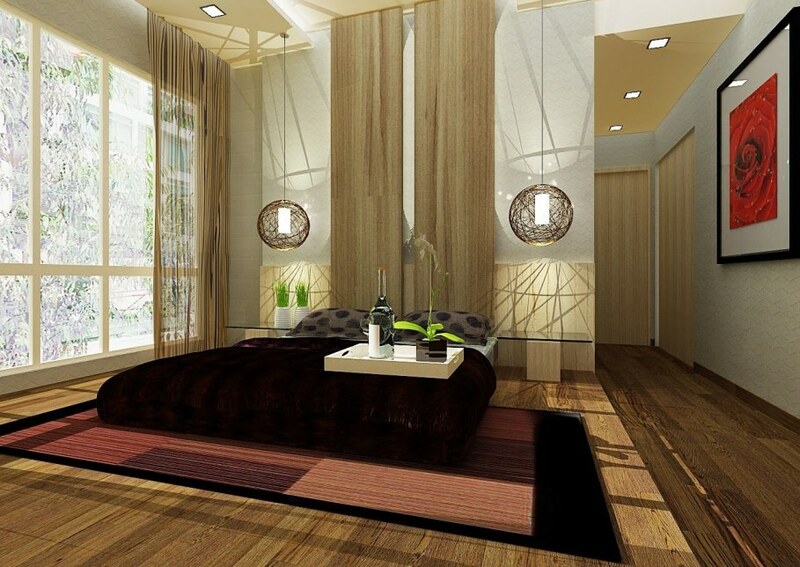 For decoration of the bedroom are used only natural materials and furniture items made of wood and natural textiles. Great importance in Japanese style is attached to the lightning; it shouldn’t be bright and eye catching. Soft glow, resembling the moonlit, the play of light and shadows, halftones with a relaxing effect, – they all allow to immerse in relaxation, remove stress and nervousness. Lampshades for chandelier and lamps are made of parchment, wood, natural silk, glass and porcelain. 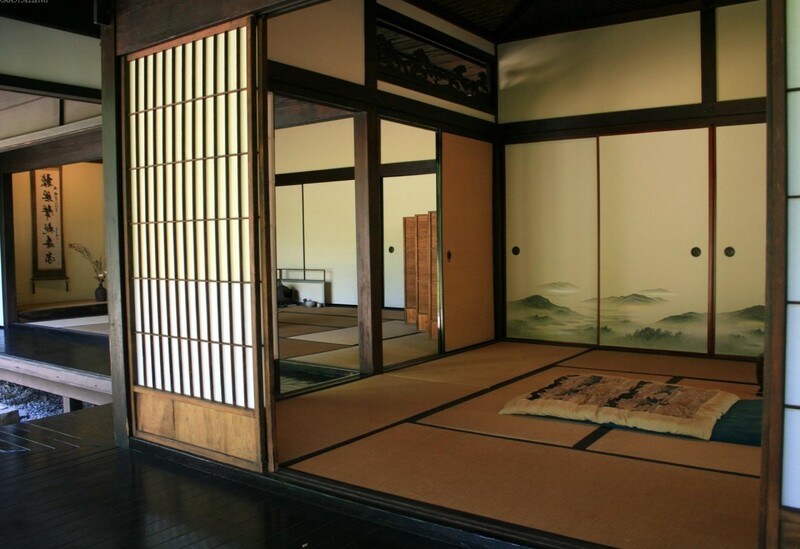 Most appropriate colors in the Japanese interior are black, white, grey, brown, cream, beige colors and their shades. 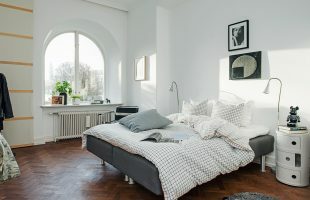 In order to revive this palette, it is possible to use another colors, definitely pastel colors, as for bright, bold and exciting colors, they don’t fit to the Japanese bedroom. In the Land of the Rising Sun it is customary to take your shoes off before entering to the house, thereby showing the respect to the dwelling. 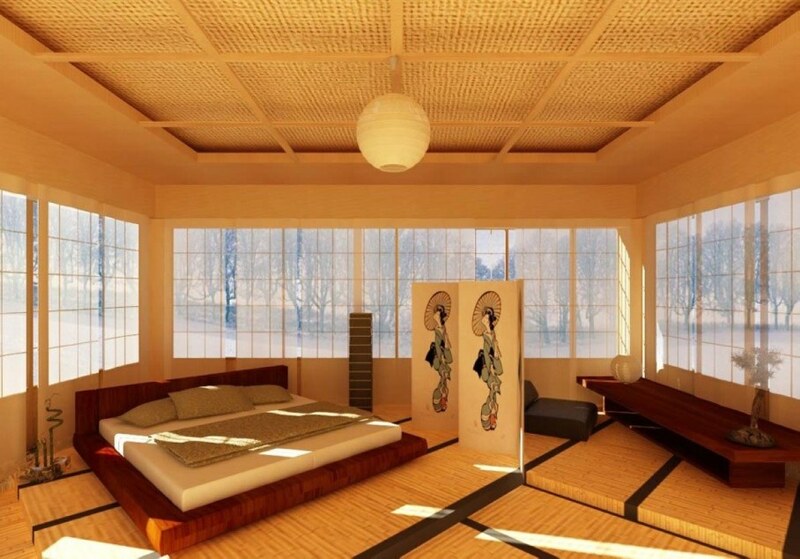 Therefore, as in the whole house, bedrooms interiors in the Japanese style start from the floor. The floor should be pleasant for bare feet, smooth and warm. The floor made of wood meets best of all these requirements. 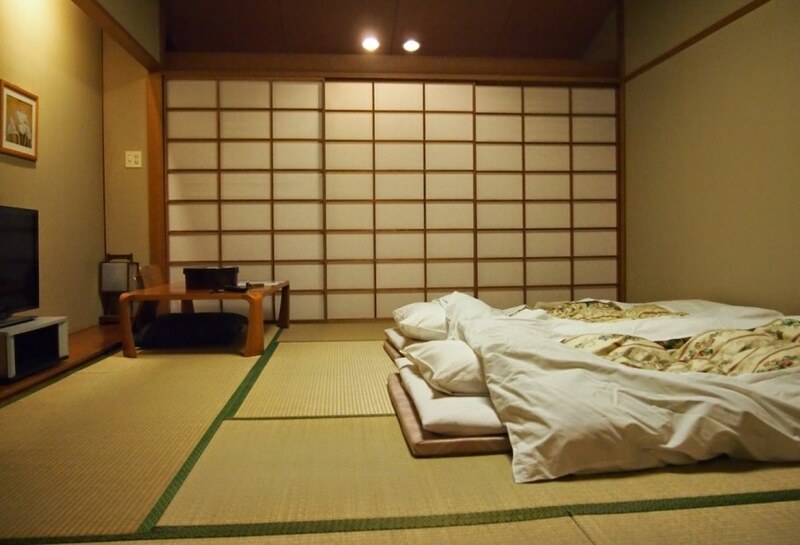 Its surface is covered by “tatami” – special mats that are made of wood and canes. For hygiene purposes it should be changed approximately every two years. 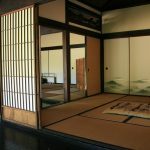 As it is hot in summer in Japan, people of this country often use sliding walls “Shoji”, made of special paper of parchment and wood. 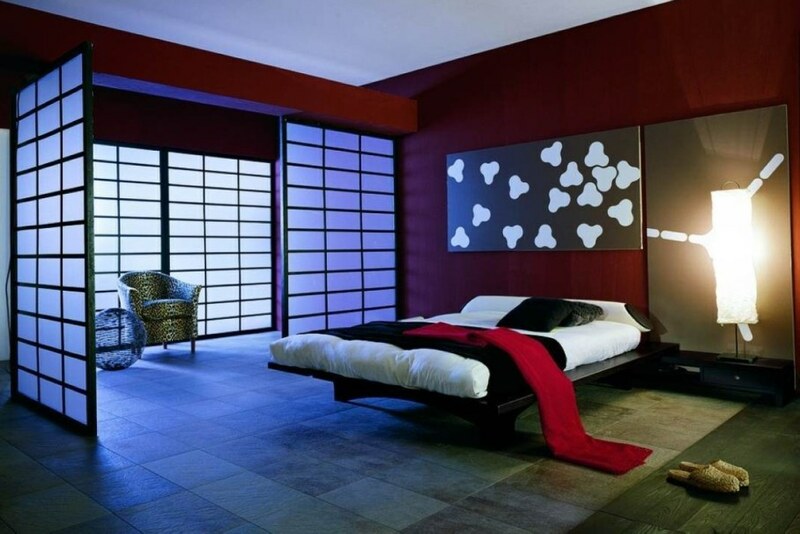 In a colder climate “Shoji” can be used as screens to create isolated bedroom zones. The walls can be sheathed with wooden panels, which will imitate bearing structure, or to hang wallpapers with ethnic pattern. 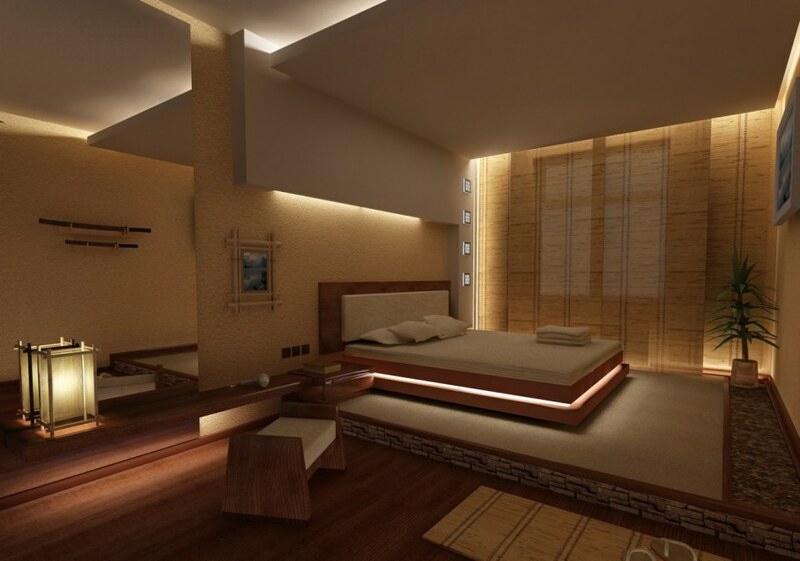 It should be remembered that the walls must be light and have natural tones. 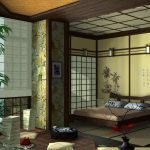 In traditional Japanese bedroom the furniture is absent at all, but modernity has left its imprint on the decoration of the Japanese’ houses. Simple, low, rectangular furniture, made of natural materials, resembles the toy one. The Japanese sleep on the folding mats, called “futon” that are put away into the fitted wardrobe in daytime. Such futon can be replaced by a low wide bed that is more usual for us. 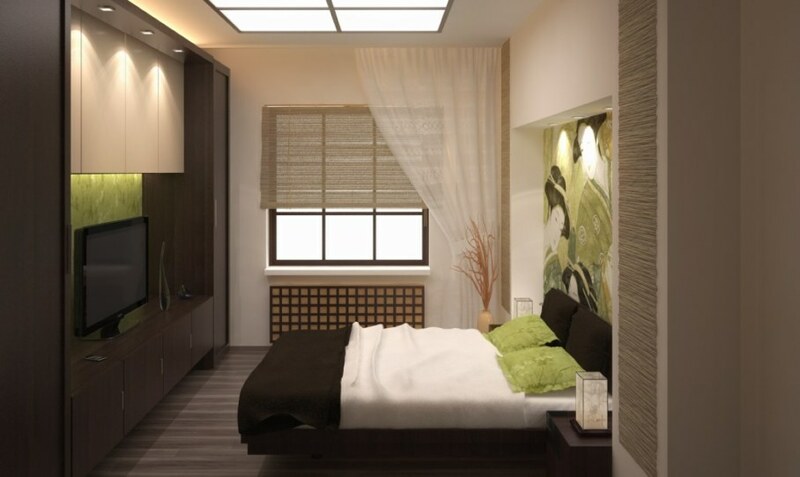 A simple or fitted wardrobe and a pair of bedside tables will complete atmosphere. 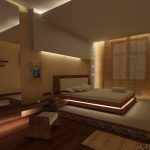 In the wall, where there is the headboard, you can make one or a few niches and if you want to equip them with illumination. 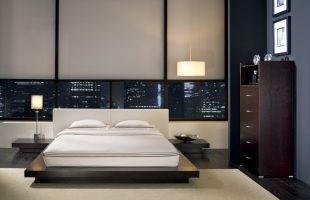 The design of any bedroom, including Japanese, looks unfinished without curtains. 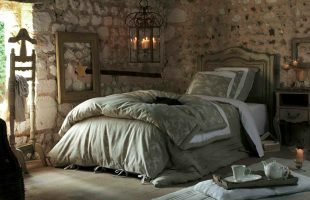 There will look perfectly in the Japanese interior light curtains from natural cotton or silk in the form one color fabric stripes without folds, fringes and other “luxuries”. 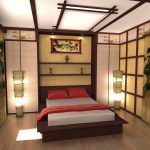 All things in the Japanese bedroom are concise and expressive, that’s why accessories must be unique and carefully chosen. In the niche or on the shelf can be put several traditional figurines and statuettes, and the walls can be decorated with calligraphic scrolls, prints, paintings in the style of Japanese art masters or a painting with a cherry branch. As for houseplants and flowers, a bonsai – a dwarf tree, planted in a low pot, can decorate the Japanese bedroom. The ability to grow bonsai is the national pride of the Japanese. In the vase you can put a bouquet, picked up on a special style – ikebana. The Japanese make it from alive and dried flowers. 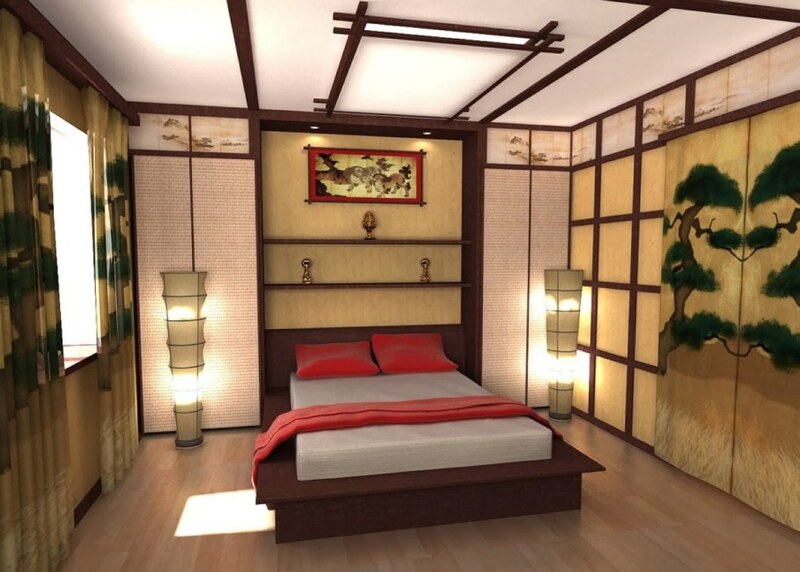 White porcelain aroma lamps with candles, fine plates in the form of the flower petals and other decorations will give your bedroom Japanese flavor and at the same time they will fill but not overload the space. 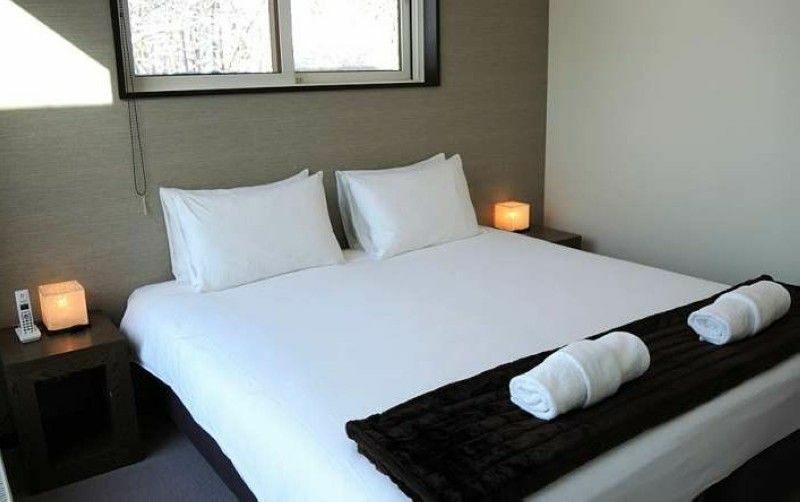 Japanese wisdom says that harmony in life brings contemplation of flowing water, so a mini-waterfall from natural stone will be very handy in bedroom. 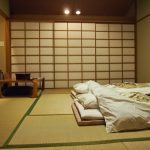 Of course, for many people, it is absolutely unclear – what can be romantic in the Japanese bedroom? 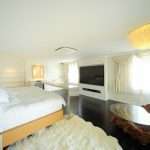 Modest and not numerous furniture is in almost empty room….. But one day seeing how it looks – you will want immediately to plunge into this atmosphere of peace, bliss and emotional balance.